For maximum flower and fruit yields with a fuller, rounder taste. A sea treasure to activate, revive and heal for healthy harvests. 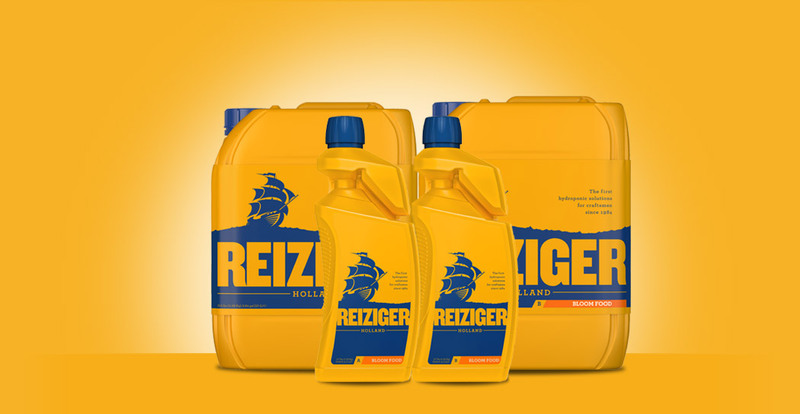 The power to transform colour, aroma and resin production. Acts fast to promote up to 35% in bloom size, weight and quality. Helping commercial growers for decades reap crystal laden blooms. Perfection straight out of the bag with no additives or rinsing needed. European blend helps grow twice the amount of fruits and flowers. Exclusive Aqualock formula protects against over and under watering. Formulated from the legendary Seed Bank of Holland original recipes for big lush green leaves, strong stems and healthy roots. Legendary Seed Bank of Holland based formula for maximum flower and fruit yields with a fuller, rounder taste. A sea treasure to activate, revive and heal for healthy harvests. Faster, healthier root growth with profuse lateral branching. Maximise your harvest. This potent natural liquid has the power to transform colour, aroma and resin production. Abundantly rich in ultrapure patented minerals. Acts fast to promote up to 35% increases in bloom size, weight and quality. Helping commercial growers for decades reap crystal laden blooms. A refined blend to transform bud clusters into colossal blooms for harvest. Perfection straight out of the bag with no additives or rinsing needed. Exclusive Nutricoir formula absorbs 50% more nutrients. Only the very best European peat provides the ideal aeration and drainage to help grow twice the amount of fruits and flowers. Modern hydroponic systems demand a substrate like this. Exclusive Aqualock formula protects against over and under watering. 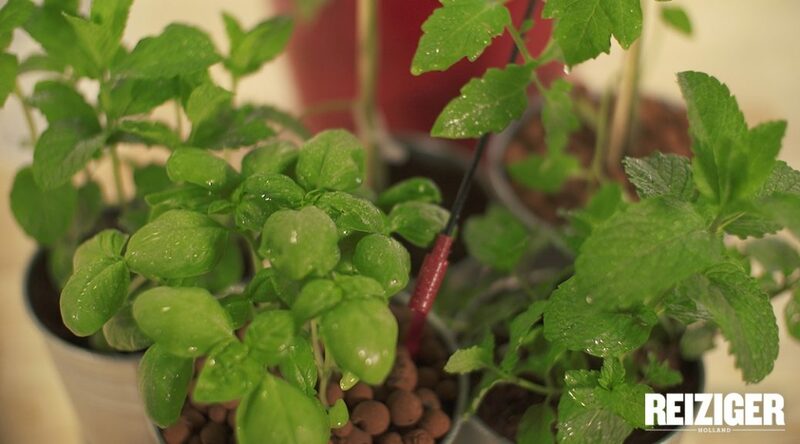 Growing plants in a hydroponic system or soilless culture means that the volume of water and nutrients available to plants naturally is limited. However, with the right irrigation system and nutrient supply, your hydroponic plants will thrive and yield incredible results with abundant and healthy fruits, vegetables, herbs, and flowers. Let’s dig a little deeper into how to get your irrigation system working for you and your plants. When you are growing plants hydroponically, irrigation is needed to refill the water that is absorbed by the substrate you are using. The best way to supply plants with water is through drip irrigation. There is a wide variety of drip irrigation systems available, varying from cheap capillaries, to the more advanced labyrinth emitters. The most suitable system for your garden depends on the water quality and the available technical infrastructure. Capillaries are cheap and can be used with low pressure, but they are prone to clogging, so it’s important to use pure water and control EC and pH levels. Pure water is water from a source that doesn’t contain any impurities; distilled water is its most common form. More expensive drip irrigation emitters require higher pressure, but they are less prone to clogging. There are a number of variables that will determine the amount of water your hydroponic garden needs, these include: the size of the plants, their exposure to sunlight, the substrate used, and the irrigation system itself. Even when using a new drip irrigation system, the supply of individual nozzles will vary. To avoid variances in plant development because of the differences in water availability, the irrigation set up should ensure that the biggest plants get sufficient water. This can mean that smaller plants will receive too much water. This is why substrates must have adequate drainage capacities and be adequately drained from the pots or containers. For small pots and containers, one dripper should be sufficient, and for large pots, two or more drippers may be needed. It’s preferable to grow plants together in larger units with several plants and drip nozzles. You can achieve this by growing in troughs or grow bags. All plant species need twelve nutrients for growth and development. There are six macro elements: nitrogen (N), potassium (K), phosphorus (P), calcium (Ca), magnesium (Mg), sulphur (S) and six micro elements: iron (Fe), manganese (Mn), zinc (Zn), boron (B), copper (Cu) and molybdenum (Mo). Plants take up these nutrients or elements in the ionic form. These can be supplied in the form of fertiliser salts which dissolve in water. The total volume of water and nutrients in a soilless system is too limited to contain all the nutrients for a long period.The buffering capacity differs between substrates. Organic substrates require a base dressing with fertilisers, as the organic matter has an ‘exchange capacity’ for ions and needs to be loaded. Therefore peat or coco coir substrate can cover the plant demand for several weeks (macro elements) or even a whole cropping cycle (some micro elements). Inert substrates like stone wool or perlite will contain only sufficient nutrients for a couple of days, so these need to be supplied with sufficient nutrients. The most appropriate way, is to supply the fertilisers with the irrigation water. This method is called ‘fertigation’ and the mixture of irrigation water and nutrients is called ‘nutrient solution’. For practical reasons the easiest way to prepare nutrient solutions is to use concentrated liquid compound fertilisers. These have a predefined composition of micro and macro-nutrients suitable for many crops. Since Ca and SO4 cannot be mixed together in concentrated form, these compounds are offered in separate A and B solutions, which need to be diluted in equal ratios in the irrigation water to compose a nutrient solution. There are several ways to arrive at the nutrient solution to be irrigated, either by using automatic devices like proportional dosing pumps, venturi systems, and diluters, or manually preparing buffer tanks with the required concentration. Create the healthiest garden with the right irrigation and nutrient system. 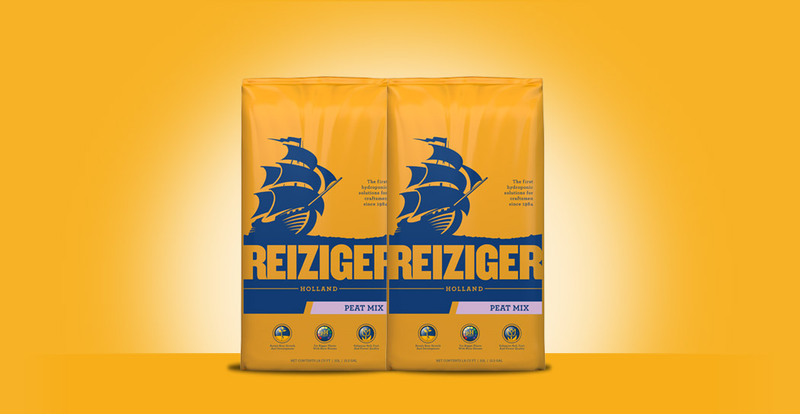 Reiziger formulas are comprised of the purest, most nutritive ingredients to enhance the growth of your plants for maximum yield. 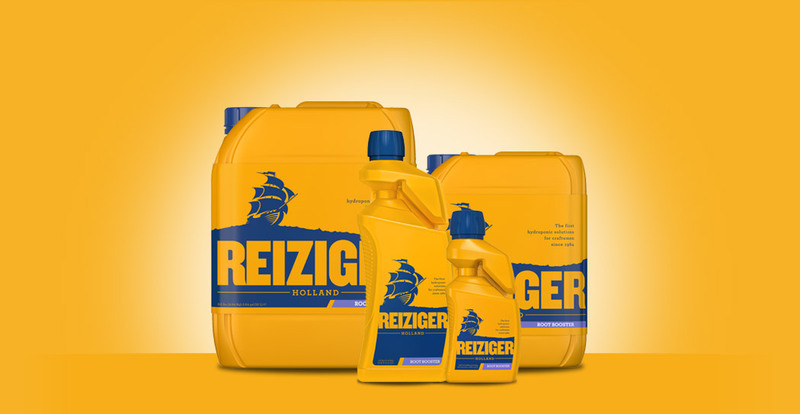 For more information about our products, contact us on 1800 Reiziger. Receive the latest news and growing information from Reiziger craftsmen. 1. The list price, also known as the manufacturer's suggested retail price (MSRP), or the recommended retail price (RRP), of a product is the price at which the manufacturer recommends that the retailer sell the product. The price set out or referred to herein is a recommended price only and there is no obligation to comply with the recommendation. Actual dealer price will vary. 2. 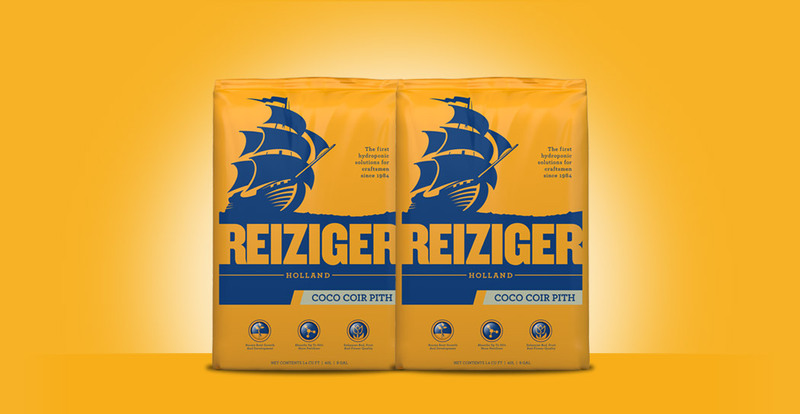 Coco coir pith containing high salt levels and/or untreated with magnesium and calcium. 4. 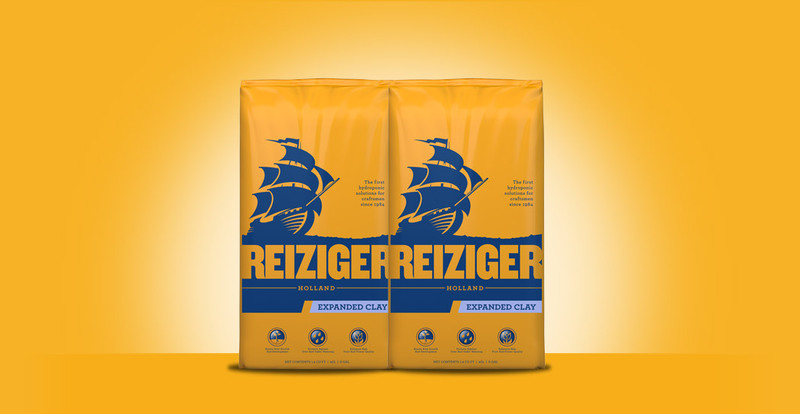 Expanded clay produced in densities less than 430kg/m3. 5. Arsenic, cadmium, lead and mercury. 6. Compared to unfed plants.